Compensation: Members receive reimbursement for travel and other expenses actually and necessarily incurred in the performance of their duties. 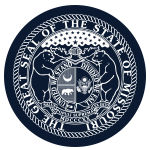 Member Requirements: The two members appointed by the Governor shall be persons who have knowledge and background regarding the history of the state, the history and significance of the seat of state government, and the Capitol but shall not be required to be professionals in the subject area. Political Requirements: Not for members appointed by the Governor.